Google+ is one of the fastest growing social networking sites on the Internet. The greatest benefit of this platform over other social networking sites is that Google+ activity can actually appear in organic search. Additionally, Google+ is emerging with more players and individual consumers, and is projected by many experts to be the next (if not replace) Facebook. As a result, having a strong following on Google+ will only help your business and its marketing efforts. 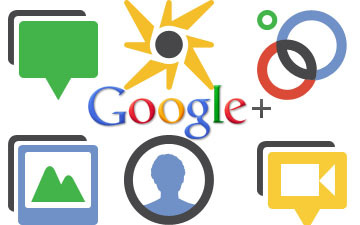 There are several ways that can help your business capture more Google+ followers. We outline many of them below. Writing and sharing posts regularly is important because it shows your followers you are active and can encourage recommendations. This is also an effective SEO technique, for your posts can appear in the search results on relevant keyword queries. A good way to help you post become found by new eyes (non-followers) is to use hashtags (#) in front of keywords in your post. Like Twitter, including a hashtagged keywords can prompt your posts when users search relevancy phrases (e.g. #Google_Strategies). It goes without saying that the more people you invite, the more followers you can attract. Google+ is still in its early stages of growth, so take advantage of all opportunities to invite your friends and colleagues to the network. A good place to start is the people in your Gmail account. You can further exploit invitations via other social networks like Facebook and Twitter too. Once you have added the people you know, add the people you do not know. Follow such people as Google insiders, celebs, authors, and Google community managers to increase your chances of getting a great following. Avoid the temptation of joining everyone on such lists. Only add people who you are interested in. Talk to the people you add, comment on posts in their profiles, and +1 to the posts you like. This will endear them to you and this will increase the chances of their following you back. Ensure that people can find you easily on Google’s profile search. Also important is ensuring that people know what you are about the moment they see your profile. Go to the site’s privacy settings and turn off the parts you wish to be public. Upload a nice picture since people respond positively to images. Come up with a mini-bio describing who you are. Describe yourself with a target audience in mind. In the mini-bio, describe what you are involved in as well as your interests. Making posts public leads to want maximum exposure. This is because sharing to the public means everybody on the Internet can view them. There is a great chance that your posts will go viral if you share them with the public. An alternative to this is sharing your posts with “Extended Circles”. This means your posts will be shared to all your followers and the people in their circles. The people in your followers’ circles will be able to view your posts in incoming streams. Hangouts allow up to 10 people to participate in the same video chat. This feature is hugely popular and you should take advantage of it to attract followers. Use Hangouts on Air, which is available to some business pages only, to connect to like-minded persons. This ensures you have quality following, not just quantity following. Human beings love attention and they will respond positively to you if you pay attention. Respectfully respond to comments and questions that users make on your posts. This will help establish your business reputation, in addition to showing that you truly care about your Google+ followers. If you'd like to learn more about marketing with Google+, or take advantage of services and strategy consulting, visit web design and SEO Peoria IL company OIC Group, Inc.